We glared at each other from across a barren lamp-lit table - a tentative neophyte and a monolith of phenolic devastation, whose insidiousness lay cloaked behind a charming emerald facade. The first encounter was an object lesson in oral brutality. My mouth filled instantly with billowing clouds of filthy coal smoke and austere minerals. Water only seemed to make Laphroaig angrier. The truth about Laphroaig is that it made me sick. I was defeated, despite my predilection for the likes of Lagavulin and Longrow. This emasculating experience nearly resulted in permanent self-relegation to the deliciously feminine, floral, and fruity Speysiders that I know and love. Undaunted, though, and through the grinding inevitability of time and patience, I managed to unlock the intrinsic qualities of Laphroaig QC. Ok, enough with the hyperbole. Nose: a curious mix of industrial and coal smoke, rubber, rich peat, minerals, and saline. The faintest honey whisper emerges as well. Palate: a rich, mouth-coating whisky. Syrupy sweet arrival that transitions immediately to spice. As the spice fades, as it does rapidly, the phenols kick in. Iodine, peat, minerals, and thick industrial smoke. Finish: long and smokey. Once imbibed, a cloud of smoke erupts in the mouth, accompanied by the lingering spice and the vestiges of iodine. The spice and smoke linger on. I was able to appreciate the high intrinsic quality of this whisky once I overcame my initial disdain. Despite this revelation I am still not overly fond of the flavour profile, hence the lower score. While I enjoy peated whisky, especially Lagavulin, I am not keen on the 'directness' of Laphroaig's smoke and the prominence of its medicinal profile. A great whisky, deserving of its esteemed reputation? Absolutely. Just not always my cup of tea. 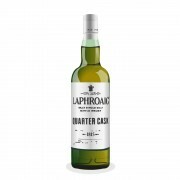 Laphroaig Quarter Cask Ah finally more Laphroaig! Good review!! Yah Laphroaig has a kick like a mule!!! It is quite true that many whiskies can be quite good in their own ways, and still not be any given individual's 'cup of tea'. Taste preferences are highly individual. For example, lots of lemon citrus flavour usually ruins any whisky for me, even if the rest of the flavours are very good. Many other people like high citrus flavour profile whiskies. I love smoke in my whiskies, but my whisky can't be too smokey or really the wrong kind of smoke or it just ruins it for me. Same thing with sweet. I love sweet and fruity whiskies, but if it's almost saccharine sweet I can't drink it. I, too, recognize the inherent subjectivity of tastes, and of reviews, but I do attempt to balance it with some measure of objectivity. 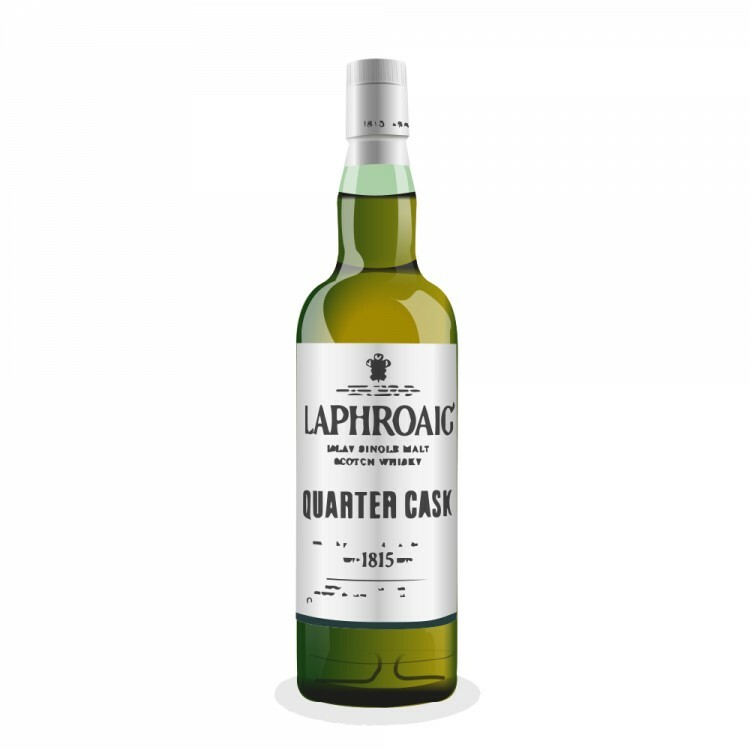 I may not 'love' a particular whisky, but if it is well-made, balanced, and contains some exciting elements (like Laphroaig QC) then those elements should be factored into a review. I will very likely give away the remainder of my Laphroaig, but my evaluation of it won't suffer because I happen not to like its overall profile (unless I evaluate a whisky of legitimately low quality, of course). The second paragraph echoes my experience with Ardbeg 10: I woke up the next day with the taste of the smoke and ash in my mouth and was almost turned off Islay whiskies altogether. Interestingly, I didn't find the QC as brutal or as aggressively smokey as the Arbeg, although it is more so than the Lagavulin 16.